"Devout Racism: A Review Essay"
In the early 1900s an Englishman made his way across the American South. William Archer ventured by train and on horseback, observing the region's peculiar folkways. He met with leading men, Booker T. Washington and W. E. B. Du Bois among them, and visited historic sites and thriving New South cities. For Archer the South was at once quaint, backward, hopeful, beautiful and grotesque. Relations between blacks and whites preoccupied him. In that regard, he was like so many other nonsouthern authors of Dixie travel literature—William Bartram, Henry Benjamin Whipple, Frederick Law Olmstead, V. S. Naipaul. But timing is everything. 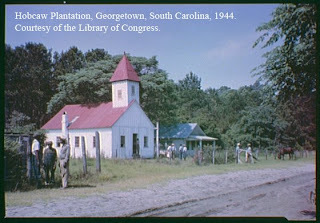 Archer journeyed through the countryside not long after many southern states rewrote their constitutions, systematically excluding blacks from the electorate. Southern law enforcement officers could easily arrest blacks for vagrancy or some other trumped-up charge. The penalty for the accused: working hard labor in a gruesome prison camp, a fate that one historian calls "worse than slavery." In these years vigilante justice instilled fear in the hearts of millions as the lynching of black southerners reached an all-time high. Archer didn't doubt that southerners, black and white, were intensely devout. The region was one of the most "sincerely religious" places he had ever visited. Yet, he sarcastically observed, most white southern Christians "would scarce be at ease in heaven unless they enter it, like a southern railway station, through a gate marked 'for whites.'" The illogic of Jim Crow justice still haunts America. The longstanding presence of racism in the church is hardly believable to some, a brutal fact to others. Looking at the sweep of American history, it's impossible to dissociate deep-seated racism from America's Christian churches.